Cut the corners—curved furniture is making a huge comeback this year. In part three of our 2019 Home Trends series, we’re teaching you all about the wavy, curvy, and round design trend. By the end of this blog, you’ll have plenty of design inspiration to incorporate curved furniture into your home. Best of all, we’re going to show you how to achieve the look for less! Let’s dive in. Don’t overthink it! The curved furniture trend is exactly what it sounds like. Furniture, accessories, wall art, and accent pieces featuring rounded edges. You can choose anything from a large crescent couch to a circular coffee table set to hit the target on the trend. Round ottomans—Find tiny circular footrests or large storage ottomans with curve appeal. Curvy chairs—Incorporate a timeless chair with modern appeal into your living room or bedroom. Chaises—Try a tufted accent piece with a long wave to add drama to your space. Circular Coffee Tables—Create an illusion that your living room is spacious and super stylish. Beanbags—Bring back your beloved childhood seat with a sophistication that’s fit for your living room. 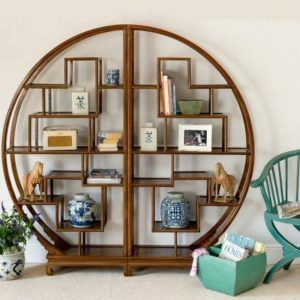 Curvy Bookcases—Draw attention to any spot in a room with the contrast of rectangular books on a circular shelf. 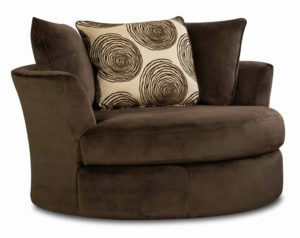 Barrel or Swivel Chairs—Add extra seating that delights like one or two round oversized chairs. Curved Corner Couches—Try a sectional with a rounded corner to soften the look of your seating area. The best way to tease curved furniture into your home is to decide if it will be the focal point or accent your established theme. Next up, we’re going to teach you how to incorporate smaller round and wavy pieces into a room that just needs something fresh and new. After that, stick around for ideas to build a design around a bold piece of curvy furniture. Do new interior design trends intimidate you? It’s okay to feel a little overwhelmed about planning how you’ll incorporate your new favorite trend into your home. The good news is, there are no definitive rules for adding curved furniture to your home. If you already have the basics like sofas, bookshelves, and coffee tables, consider making small additions. Hang an abstract piece of art from the ceiling that features circles or orbs. Swap out a small side table for something with a round top. 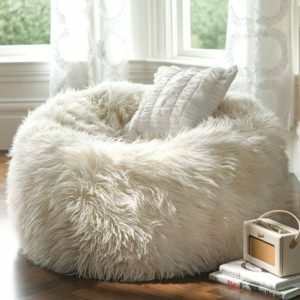 Round area rugs, bean bag chairs, and curved stools and accent chairs are excellent choices. Start by figuring out where you have room to add new decor. Or, establish which pieces you’d like to pack away or donate to make room. Once you have an idea of the space on the wall or area next to your sofa that can use a new piece, start shopping! Remember to keep the colors and textures of your room’s theme in mind while you browse. If you just want to tease the trend into your space, consider adding a few bowls to your coffee table or a few wavy, abstract pieces of art to your bookshelf. You can truly let your imagination run wild with curved furniture. How will you add the curved furniture trend to your home? Let us know in the comments! One creative way you can redesign a room is to establish a focal point with curved furniture. For sitting rooms, reading rooms, sunrooms, and other spaces you use regularly, we love to add large curved pieces. Try staging a long wavy sofa with rounded sofa seats or a settee with a curled back in your room against the longest wall. Surround the piece with simple tables and tall potted plants to keep the focal point on the unique piece of furniture. The idea is the make the room appear large and inviting. 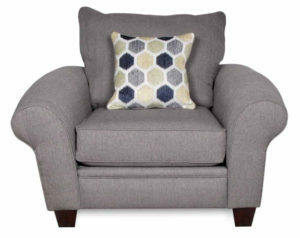 You could also use barrel or swivel chairs to be the center of attention. Stage two or three round chairs of your choice around a bold coffee table to create a sitting area in an at-home office or a reading nook in the living room. One of our favorite ways to make the most of the curved furniture trend in a timeless way is to use a round table in your dining room or eat-in kitchen. 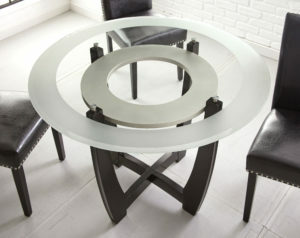 We love how the glass table top of the Verano 5 Piece Dining Set looks like it’s two tiers. The glass top features a frosted glass border and the curved top makes it easy to seat four or five people comfortably. You have plenty of options to choose from—From tiny accessories to oversized chairs, you can make this trend your own with whatever round pieces your heart desires. This trend works within your budget—Don’t go spend thousands of dollars redecorating your room unless you want to! There are countless affordable circular and wavy furniture pieces at a price you can afford to love. We also offer payment plans! 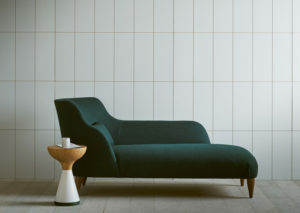 You can make the trend completely unique to you—Unlike many popular trends nowadays, the curved furniture trend has almost no finite rules to follow. That means you can add circular accents to your room no matter what the theme is. Curved furniture is very eye appealling—You won’t have to worry about whether or not your guests will notice your new trendy decorations or pieces of furniture. Circular objects tend to draw the attention of your eye, so your friends and family will definitely know something’s fresh and new. It’s a timeless choice—There are dozens of types of furniture you can buy that fit the trend. If you’re worried a curvy chair will go out of style, try a few pieces that you’ll cherish until the next time you redecorate. 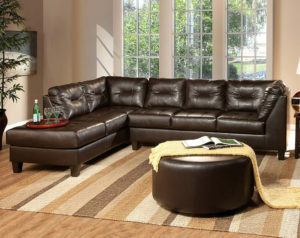 Stop into your local American Freight Furniture and Mattress today to browse our latest selection of curved furniture. From swivel chairs to curvy coffee tables, there are plenty of affordable items to choose from. There’s something for everyone’s budget and style at American Freight. Don’t forget about our payment plans, free layaway, and same-day delivery for all in-stock items! Read more about our payment plan options here. Visit this page or ask a store associate about layaway details. Can’t find your local store? We have over 155 stores across the country. Check out the store search page here to find one closest to you. 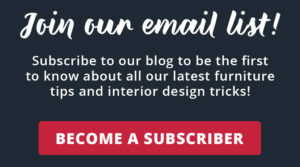 Did you know you can subscribe to The Official Blog of American Freight Furniture and Mattress? 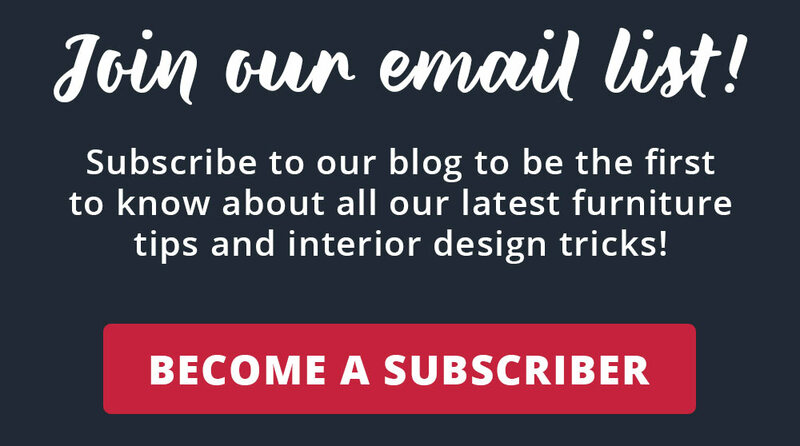 We send blog updates directly to your email two times per month! Plus, you can get exclusive information about new products, tip guides, and so much more. Click here or the image below to fill out the subscription page. All we need is your name and email address to get started. Keep an eye out for the confirmation email. You’ll need to follow the instructions in that email to get all the latest blogs. Have you read Parts 1 & 2 of the 2019 Home Trends Series? Catch up on your reading by clicking any of the links below! I was so pleased with the service I received from Kyaira at the Madison Wi location. She assisted in explaining how different styles of living room pieces would fit my aparment and allowed me to roam without being on my heels. At the end the end she broke down the financing very well able to answer all my questions/concerns. I am very happy with my purchase and the assortment I had to choose from. Hi, Sherry! Thank you for your comment. We’re happy to hear you are pleased with your experience at American Freight and we look forward to seeing you again soon! Hi, Corine! Thank you for your comment. 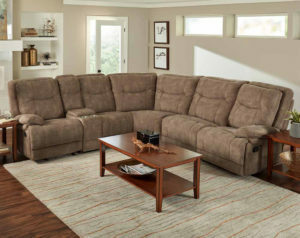 You can click this link to check out our selection of sofas, loveseats, and sectionals: https://www.americanfreight.com/living-rooms Happy shopping!